Nearly 30 years ago, I spent almost a year in northernmost Chile, where the Atacama Desert is the world’s driest. 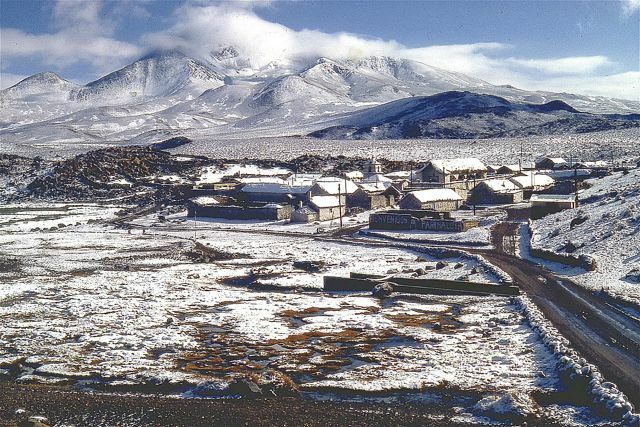 It’s not quite true that it never rains in the Atacama, as director Patricio Guzmán states in his new documentary Nostalgia for the Light, but that’s not quite true - I’ve experienced light rain in Antofagasta and snow in San Pedro de Atacama, and precipitation increases with altitude and from west to east. In fact, when I lived in the Aymara Indian village of Parinacota (pictured above), 4,392 meters (14,409 feet) above sea level, on the Bolivian border east of the coastal city of Arica, we had frequent thunderstorms and occasional whiteout snowstorms - in summer. Summer is the rainy season there and, though Arica itself almost never gets rain, precipitation from the Andes can rush through the deep canyons and cause flash floods on the coast. That said, I’ll grant Guzmán artistic license for his hyperbole in a skillfully crafted cinematic essay that ties together the themes of astronomy, archaeology and the yearning for transparency and closure in the aftermath of General Augusto Pinochet’s dictatorship - many of whose victims disappeared into the vast Atacama. It’s a credit to Guzmán, who also documented Pinochet’s 1973 coup against the government of the late President Salvador Allende in The Battle of Chile, accomplishes this without indulging in polemics. The photography and cinematography, of course, are magnificent. I can’t possibly summarize Nostalgia for the Light with Guzmán’s eloquence, but its theme is the will to interpret and even confront the past. 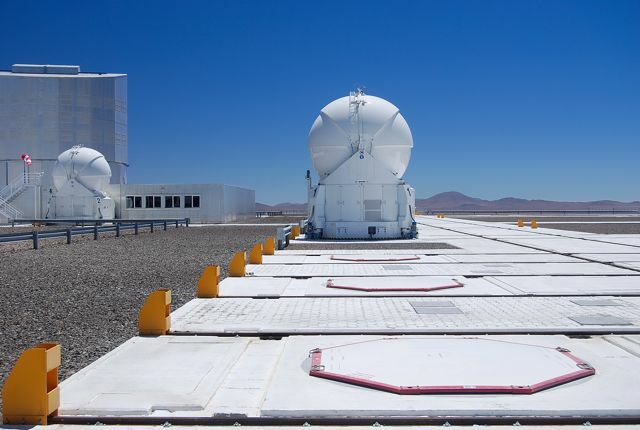 Astronomers do so by gazing through telescopes - the Atacama is home to several major international observatories such as the European Southern Observatory's Cerro Paranal (pictured above). Archaeologists do so by excavating ruins and analyzing artifacts and even human remains found on or beneath the desert surface, in a climate whose nearly absolute aridity preserves them perfectly. 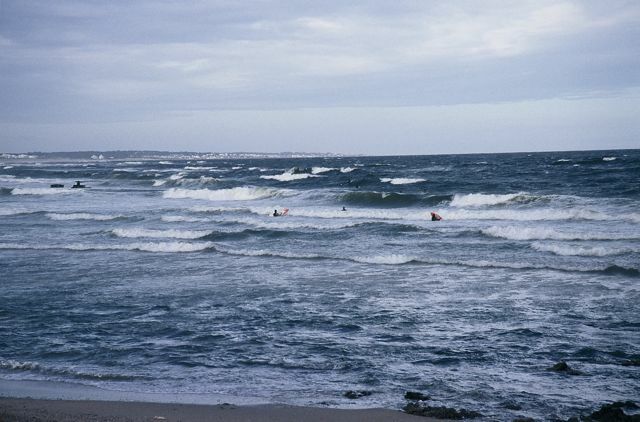 In fact, archaeologists and physical anthropologists have involved themselves in identifying remains from mass graves such as the one at the isolated coastal village of Pisagua (pictured below), which also served as an inescapable prison camp. Still, it’s the families of the disappeared, in search of their loved ones, who have been the force behind the search - sometimes testing the barren desert surfaces with trowels and shovels - and Guzmán makes them central figures in the film. Chilean astronomer Gaspar Calas, meanwhile, points out that we are always looking at the past - even a conversation at the dinner table involves delays, despite the speed of light and sound. If there’s one criticism I could make, it’s that Guzmán (born 1941) romanticizes the Chile of his youth as almost a carefree, conflict-free country. While he points out the often-poor working conditions and injustices of nitrate mines such as Oficina Chacabuco (which were really company towns with an authoritarian organization), he seems to suggest that Chile had overcome such problems when he was a kid. Certainly Chile was stable by Latin American standards, but problems such as inequitable land tenure in the heartland intensified class tensions and encouraged the rise of Allende and others far who were far more extreme. 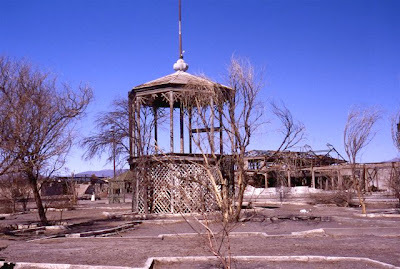 Still, I strongly recommend Nostalgia for the Light and, if you go to Chile, visiting several of the locations Guzmán used. 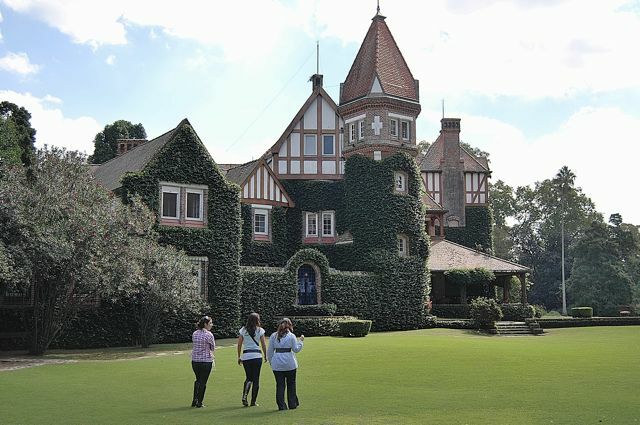 Among them is Oficina Chacabuco (pictured above), which the dictatorship used as a prison camp; Guzmán interviews several former prisoners, one of whom was an amateur astronomer who taught his fellow prisoners about the night sky to help create a feeling of solidarity among them. And of course there are the observatories, most notably Cerro Paranal, about which I have written in another post, and Las Campanas. At the end of the day, though, the most affecting single sight is a stark cross-studded amphitheater that stands in the desert east of Calama, on the road to San Pedro de Atacama. 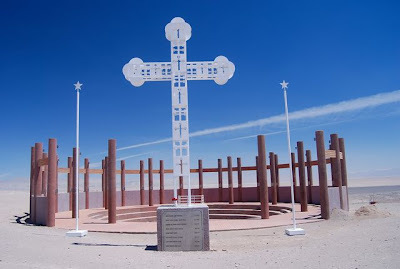 Each of its columns represents a prisoner executed here during General Sergio Arellano Stark’s so-called Caravana de la Muerte (Caravan of Death). Sadly, this Parque para la Preservación de la Memoria Histórica (Park for the Preservation of Historical Memory) does not merit a mention, nor even appear on the maps, in the widely sold Chiletur Copec series of guides and road atlases. It does appear, however, on the Chilean government's list of human rights memorials. Several months ago, the editors at National Geographic Traveler asked me to submit nominations for their 2011 Stay List that, for the first time, would include the best hotels in South America. 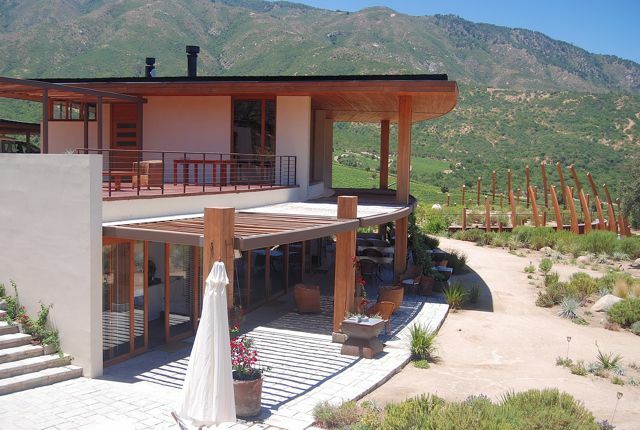 That list finally came out, in the magazine’s April issue, and include three of the five that I nominated: Argentina’s Cavas Wine Lodge and Chile’s Lodge at Valle Chacabuco and Ecocamp Patagonia. They declined to include Argentina’s Rincón del Socorro and Chile’s Hotel Indigo, though I personally consider them superior to some others that did make the list, and would still recommend them enthusiastically. I won’t critique the entire list here, but I have a few observations on some places that I know well and a couple others that I’d like to get to know better. 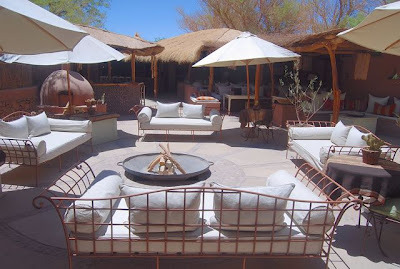 Among those that made the Chile list, I would heartily endorse San Pedro de Atacama’s Hotel Awasi, an eight-room gem (pictured above) that’s so inconspicuous as to be nearly invisible despite its mid-village location. I’m less impressed with Explora’s nearby Hotel de Larache, on San Pedro’s outskirts, a 50-room monolith that dominates the landscape, has surprisingly small rooms, and indulges itself with four swimming pools in an area where every drop of water is precious. 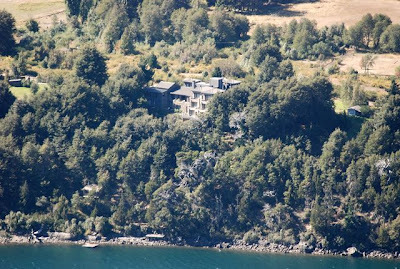 Under the same Explora ownership, in Parque Nacional Torres del Paine, the Hotel Salto Chico is a true luxury hotel that fits far better into the landscape - few visitors to the park are even aware it’s there, even as they pass within a few hundred meters on the nearby road. 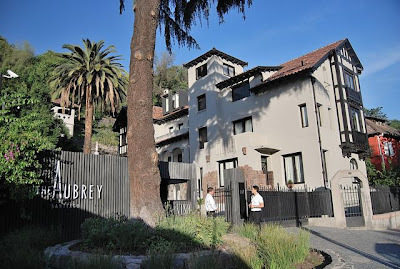 In Santiago, the best new accommodations is The Aubrey, which has turned two neglected properties into a charming boutique hotel around the corner from the late poet Pablo Neruda’s landmark residence, which is now a museum. In the Colchagua valley wine district, the Residence Lapostolle overlooks its own vineyards and contains a unique gravity-fed winery where every grape is chosen individually to produce a single premium vintage. The photo below shows the lobby and restaurant building; its four suites are free-standing structures mostly hidden from view. I have no quibbles with anything on NGT’s Argentina list, but with the caveat that anyone expecting to enjoy the rooms at Estancia Villa María (pictured below), an elaborate Tudor-style mansion on sprawling grounds outside Buenos Aires, should do so soon. Within the next few years, some of its former pastures will become a real estate development with a new hotel, and the current accommodations will become a clubhouse for golfers, riders, polo players and tennis players (under the auspices of Argentine tennis legend Guillermo Vilas). 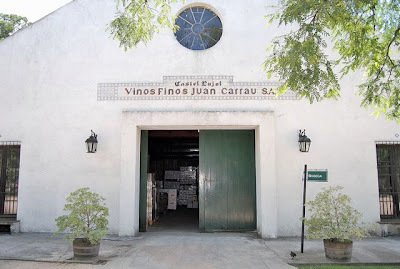 On the Argentine side of the Andes, Finca Adalgisa hasn’t gotten the press that Cavas has, but Gabriela Furlotti runs an intimate 11-room winery hotel in the Mendoza suburb of Chacras de Coria; the grapes come from its own vines, with the production overseen by local legend Carmelo Patti. In northern Patagonia, after marrying into an Anglo-Argentine family, Londoner Jane Williams of Estancia Huechahue turned herself into a gaucha who leads hard-riding horseback trips through the backcountry of Neuquén province. 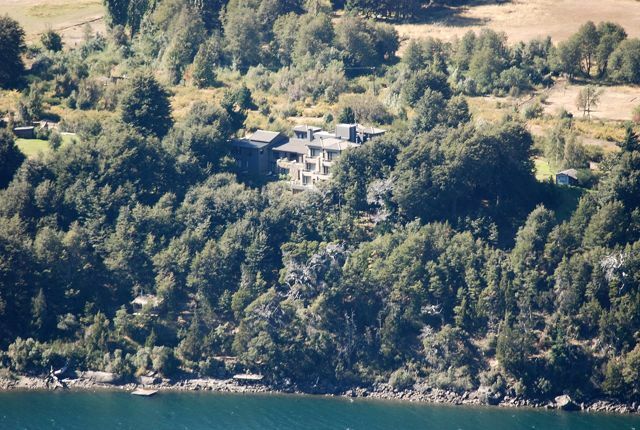 To the south, on the outskirts of San Carlos Bariloche, the Aldebarán Hotel & Spa has huge rooms on a quiet peninsular isolation with spectacular views of Parque Nacional Nahuel Huapi. For a decade-plus now, I have owned a Nissan Terrano, a 4WD vehicle with which I explore southern South America while updating my Moon Handbooks to Argentina, Chile, Patagonia and Buenos Aires. 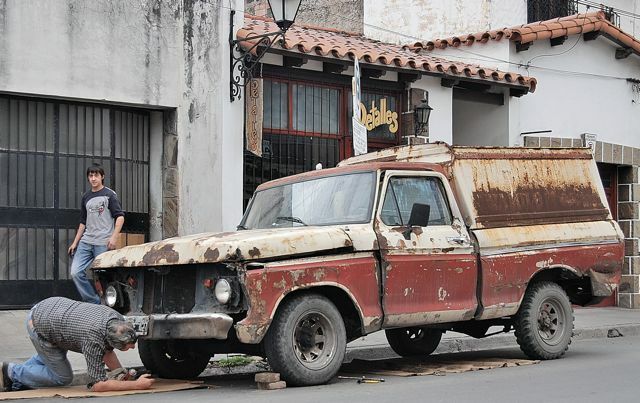 Every November, when I return to Santiago, one of my first chores is to take it for the revisión técnica, the annual vehicle inspection that determines whether or not a Chilean car is roadworthy. This is a serious inspection, even more so than in California, where private vehicles must undergo a smog check every other year. In Chile, that smog check is annual, but that’s not everything - the technicians there also check your front-end alignment, the tread of your tires, brakes, the emergency brake, and even the alignment of your headlights. If any one of these is not up to snuff, the vehicle fails the inspection and you have two weeks to correct any problems. 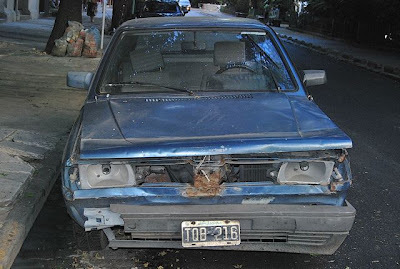 For that reason alone, accidents due to equipment failures are rare on Chilean highways. In principle Argentina has a similar system but, in reality, there are probably hundreds of thousands of unsafe vehicles that, at the same, pollute the country’s skies. Once, near the city of Mendoza, I recall a rattletrap Fiat on the freeway with only a single parking operative parking light - no headlights or taillights at all - that was barely capable of 50 km per hour (about 30 km per hour). On a road where most vehicles were traveling at least twice that speed, the potential for a pileup with a tiny car that was barely visible was inordinately high. This was not an exception, though. 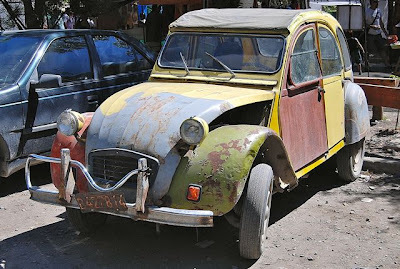 In no other country have I seen so many obviously unroadworthy cars. When I once asked an Argentine policeman whether these cars ever get ticketed, he told me “no” - despite the frequent checkpoints along the highways, they would rarely consider pulling even a flagrantly unsafe vehicle off the road. That’s ostensibly because of their interest of maintaining “social peace” - most such vehicles belong to poorer people who need them for errands or work. The less charitable among us, though, might observe that the drivers of such vehicles are unlikely to have extra money to bribe the cops to look the other way. Neither “social peace” nor bribery is an issue in Chile, however. Twenty-some years ago, when I wrote my first-ever guidebook to Argentina, Uruguay, and Paraguay, I traveled the Southern Cone highways and backroads in a 1969 Peugeot T4B panel truck that my wife nicknamed “Lola.” Purchased indirectly from my late father-in-law, Lola was a wreck waiting to happen and, in the course of my travels, I seemed to meet every mechanic in the Southern Cone countries just to keep it going. 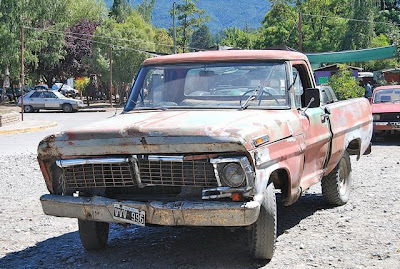 After doing another book on Chile the following year, we sold the car in their Buenos Aires province hometown of Olavarría and, I understand, it’s now doing duty on a ranch - its roadworthiness was always questionable but now, at least it’s one vehicle that won’t cause an accident. 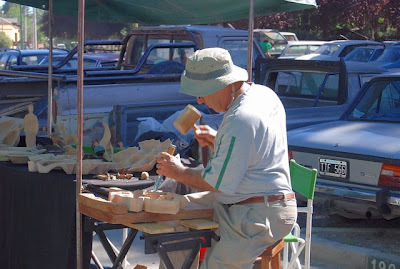 There are chatas and chatarra everywhere in Argentina, but the two really come together in El Bolsón, the northern Patagonian town renowned for its Plaza Pagano street fair (pictured below). In the parking lot behind the plaza is an extraordinary assortment of junk cars - both chatas and chatarra - that mostly, fortunately, are incapable of getting far beyond the city limits. If you have found this article informative, please consider clicking on one or more of the AdSense links that accompany it - always presuming, of course, that it's a product or service that interests you. NAWAPA, fortunately, never came to fruition because, for some inexplicable reason, Canadians wouldn’t go along with the wholesale diversion of their water resources south of the border. 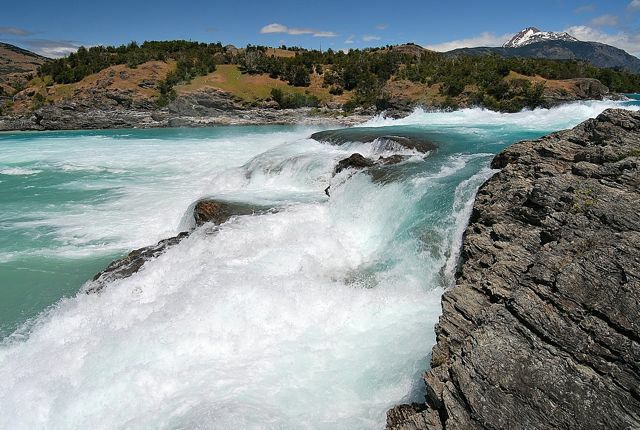 NAWAPA’s South American counterpart, though, took a big step closer to completion last Monday when a 12-member government commission approved a series of five hydroelectric dams on the Baker and Pascua rivers (pictured above), in Chile’s remote northern Patagonian region of Aysén. While the proposed HydroAysén dams would not ship water north to central Chile (which does suffer regular droughts), they would require more than 1,600 km (roughly 1,000 miles) of transmission lines through a densely forested region with only a single two-lane highway, most of which is unpaved. Those transmission lines would pass through several national parks and other environmentally sensitive protected areas, plus probable additional roads, and would result in major deforestation. On top of that, it still might require hundreds of kilometers of underwater transmission lines to intersect with Chile’s main power grid at the city of Puerto Montt. 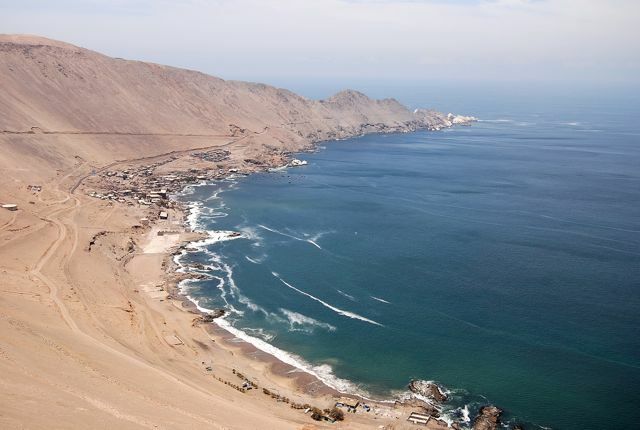 Chile, admittedly, lacks most conventional energy alternatives other than hydroelectricity - it has virtually no fossil fuels and must import nearly all its oil, coal and natural gas from Argentina or by ocean-going tanker. Disruptions of the Argentine gas supplies, in particular, are notoriously frequent because of domestic political considerations on the other side of the Andes. Chileans are overwhelmingly opposed to nuclear energy in a country that’s no less seismically vulnerable than Japan - memories of last year’s 8.8 event are still vivid. 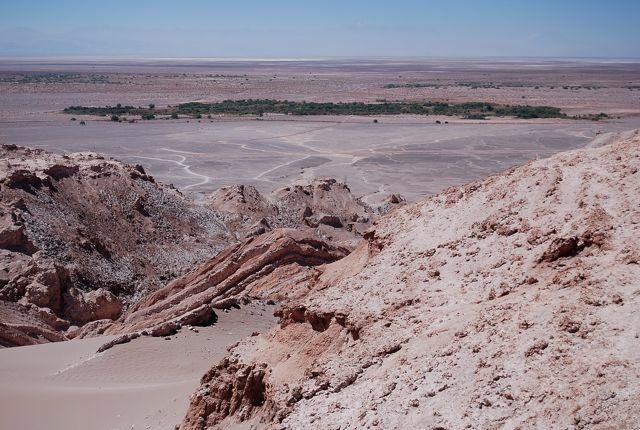 Chile does, though, have a potentially limitless supply of alternative energy in the northern Atacama desert region - solar power in a region that rarely receives any rain, and hardly even has any cloud cover. Whether that could be developed quickly enough to support the massive copper mining industry at sites like Chuquicamata is questionable, but Chile could do much more to promote energy efficiency - in the capital of Santiago and other cities, for instance, modern low-energy fluorescent light bulbs and insulation could do a great deal to reduce power consumption, at a far lower cost than shipping electricity nearly 3,000 km (about 1,800 miles to the north). 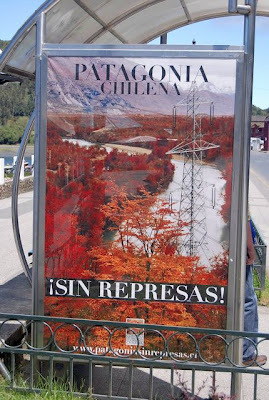 Opponents of HydroAysén, under the name of Patagonia sin Represas (Patagonia without Dams) are likely to appeal the commission’s decision and, in any event, the construction of transmission lines will undergo a separate environmental review in December. Still, spectacular riverscapes like the Baker-Nef confluence (pictured at top) remain in serious danger. 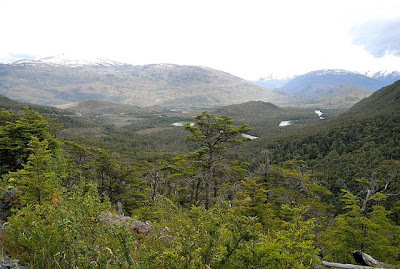 The difference with NAWAPA is that, in a single country with a unitary political system, there are no Canadians who can veto the abuse of Patagonia's natural heritage. When last Friday dawned and I had only one (correct) entry in my contest to give away two copies of the new fourth edition of Moon Handbooks Buenos Aires, I pleaded with readers to enter the contest to give the other copy away. 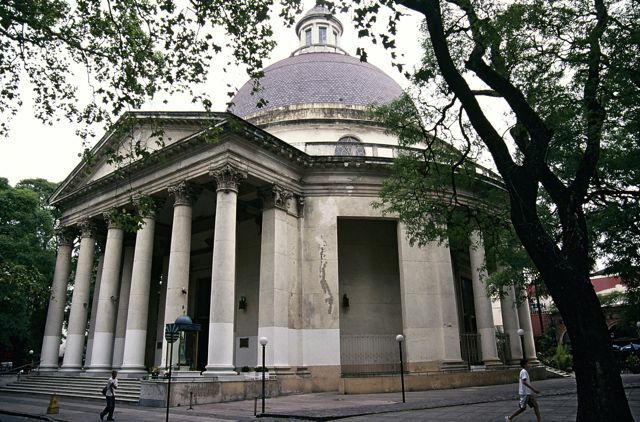 As it happened, I needn’t have worried too much - another six contestants correctly identified Belgrano’s Iglesia de la Inmaculada Concepción, the church that figures prominently in the late Ernesto Sábato’s masterpiece psychological novel, On Heroes and Tombs. 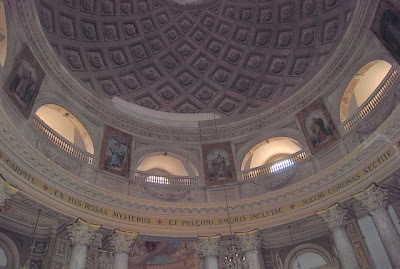 It is popularly known as “La Redonda” (The Round Church) because of its circular design and cupola. Given that so many came up with the right answer in response to my plea, I’ve decided to give away an additional five copies as I close the contest this morning. Four of the respondents came from the United States, one from Mexico, one from Chile, and one from Belgium, and I hope they’ll put them to good use. Jennifer Rose of Morelia, Michoacán, who previously won a copy of the third edition of Moon Handbooks Argentina last year, was the first to respond correctly here. I also have two overseas winners, including Natalie Usher of Viña del Mar (Chile), who says that “Now I can persuade my husband to take a couple of days off so we can finally make it to BA.” Steve Behaegel of Merelbeke, Belgium, requested a copy of Moon Handbooks Argentina in lieu of Buenos Aires “because most of the time we travel Patagonia and do not linger too much in Buenos Aires.” Steve had entered an earlier contest, but had been too late with the correct answer. The other winners were Darek Przebieda of Burbank, California, whose wife Analía (an Argentine) operates Eureka Travel, and Robin Page West of Baltimore. For those of you who haven’t yet sent me a mailing address, please do so, and I will have the books in the mail as soon as possible. I will, however, be contacting you individually as well. That’s all for the time being, but please keep an eye on this blog for future contests. And, while you’re at it, help me pay for my postage costs by clicking on one of those little AdSense ads every so often - always presuming it’s something that stimulates your curiosity, of course. Win This Book...Please! Plus, the Obligatory "Tip"
At the end of my Tuesday post on Ernesto Sábato, I included a contest to give away two copies of the new fourth edition of Moon Handbooks Buenos Aires. As of this morning, I’ve had only one response (a correct one, from Jennifer Rose of Morelia, Mexico), which leaves me one copy more to dispose of. Frankly, I’m both surprised and disappointed to have had only that one response, to a contest whose answer even a reader who has never been to Buenos Aires can find by following the links in that previous post. Perhaps I erred by adding the contest as a postscript to the Sábato post but I thought the two photographs made it conspicuous enough. At the very least, I’d like somebody to do me a favor and win the second copy. For foreigners, one of the most confusing practices in Buenos Aires restaurants - it’s far less common in the Argentine provinces - is the cubierto, often translated as “cover charge.” In effect, it’s an up-front fee for the privilege of sitting down at the table in many, though by no means all, of the city’s eateries. 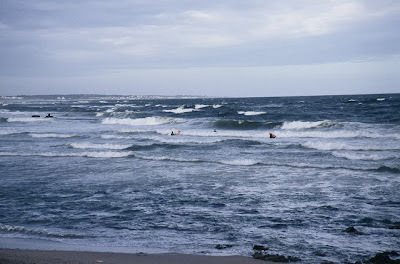 It ranges mostly between five pesos (about US$1.25) and 15 pesos (around US$3.75). 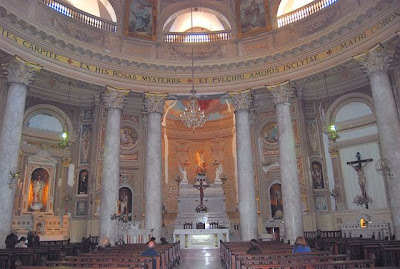 There are various explanations of the cubierto. Some restaurants say it’s a charge for bread or minor appetizers, others for dishes and silverware. What’s clear, though, is that it’s not optional: obviously, at most restaurants, you can’t do without dishes and silverware, but even if you decline bread or appetizers, you’ll still pay for them. 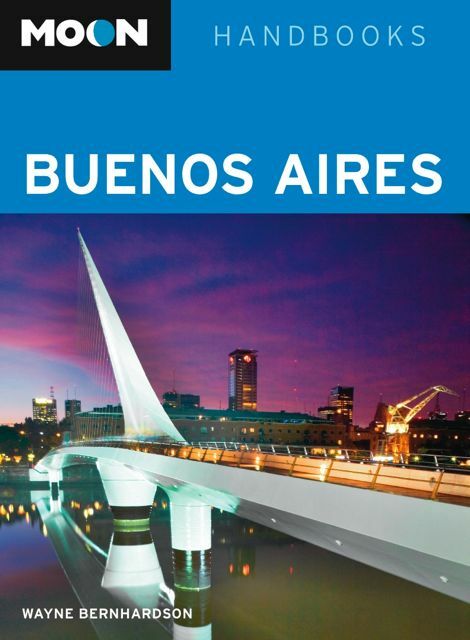 Simply speaking, if you expect to dine at most Buenos Aires restaurants, you’ll have to pay up front, though some places impose the charge only at night. It’s worth emphasizing that the cubierto is not a propina (tip) - rather, it goes entirely to management. Why they can’t simply fold the charge into the rest of the menu is an open question - perhaps it’s a deception to make it seem as if the main dishes are cheaper than they really are, but there’s no question that it irritates Porteño diners. In a recent article in the online magazine Planeta Joy (Spanish only), dozens of commentators speak indignantly of the practice, and even go so far as to suggest boycotting restaurants that impose it. Several restaurateurs themselves denounce the cubierto. There are alternatives. Often, when I’m in Buenos Aires, I place a phone order and simply walk to the restaurant and take the food home; even some very fine restaurants offer take-out service or even “delivery,” an English-language word that’s a common usage in the Argentine capital. Sometimes take-out or delivery prices are even a bit cheaper than the in-house menu; delivery personnel, though, will expect a tip. If you do choose to sit and pay the cubierto, there’s still the issue of tipping the waiter or waitress. Ten percent is the norm in Argentina (and Chile, for that matter), though many Argentines stiff the staff. In Argentina, it’s nearly impossible to add the tip to a credit card bill, but in Chile it’s widely accepted. 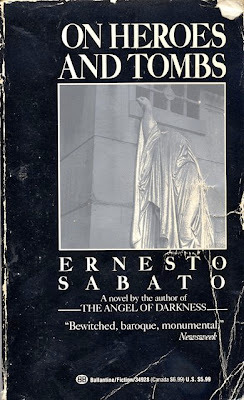 The battered paperback in the photograph above is my personal copy of Ernesto Sábato’s On Heroes and Tombs, possibly the definitive Buenos Aires novel but, apparently, no longer in print in English. Far less celebrated for his literary output than his countryman Jorge Luis Borges (who never wrote a novel), Sábato died last Friday at age 99, less than two months short of his 100th birthday. In the immediate aftermath of his death, he was the subject of a tribute at the Feria del Libro, the annual Buenos Aires book fair that will continue through next Monday. A Communist and a physicist in his youth, a democrat, novelist and painter in his maturity, Sabato was an indefatigable campaigner for human rights. He made his literary reputation with his first novel, The Tunnel (1948), and followed it with On Heroes and Tombs (1961) and The Angel of Darkness (1974, known in Spanish as “Abaddon el Exterminador”). Andrew Graham-Yooll’s obituary of Sábato in the Buenos Aires Herald provides a succinct summary of his career, from both a literary and political perspective. Not being a literary critic (unlike Graham-Yooll, who is an acquaintance of mine), I can’t do full justice to Sábato’s literary career or personality. Still, I found On Heroes and Tombs absorbing not just because of the tragic tale of an Argentine family in the turmoil of the 1950s. 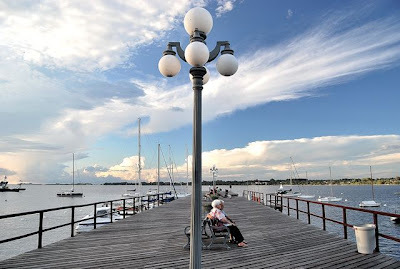 It’s also because the novel is literally grounded in place - many of its scenes occur in and around city landmarks that are still recognizable today, even if they’re not always part of the tourist circuit. A novel within the novel, titled “Report on the Blind,” may be a metaphor for life in the Argentine capital, but it’s equally fascinating if read literally. As a public intellectual, Sábato opposed human rights abuses under the Peronist governments of the 1940s and 1950s, but also under the military regime that overthrew Perón in 1955. His most visible contribution to public life, though, is his role as president of the Comisión Nacional sobre la Desparición de Personas (CONADEP), created by President Raúl Alfonsín to investigate human rights abuses under the notorious Proceso military dictatorship of 1976-83. The commission’s landmark report, under the title Nunca Más (Never Again) provided concrete evidence of extrajudicial disappearances and executions that led to the successful prosecution of the junta leaders and many of their underlings. No, not my precious copy of On Heroes and Tombs, but rather the new fourth edition of Moon Handbooks Buenos Aires. I will award copies of my own guidebook to the city to the first two readers who can identify the church in the photograph below, which plays a key role in On Heroes and Tombs, by either its formal or colloquial name. Since I don’t want to make the contest too difficult, I’ll provide one additional clue: it’s in the northern Buenos Aires barrio of Belgrano. Please send all entries to my personal email, in the header above, not to the comments function of this blog.